The 2019 general elections, according to political pundits, have once again brought to the fore the political consciousness of the people of the South-West region. But some analysts linked the causal effects of that consciousness to the centrifugal fallouts of ill-handled party primaries, the dictatorial tendencies of certain party leaders and the dangers inherent in taking the electorate for granted. 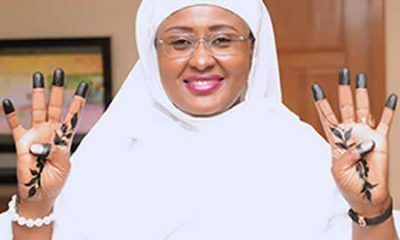 Until the Presidential and National Assembly elections on February 23 and the March 9, 2019 governorship and state assembly elections, the South-West was wholly the stronghold of the All Progressives Congress (APC), with the party in firm control of all the six states in the geopolitical zone. 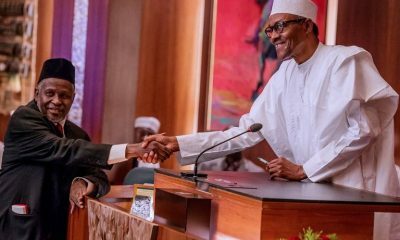 The factor of the Vice President, Yemi Osinbajo, as the ‘son of the soil’ had been deemed a plus in 2015 for the APC to maintain that stranglehold in subsequent elections. 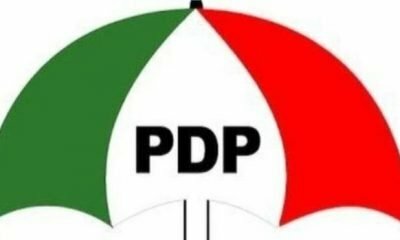 Signs there was likely to be a realignment of forces that could enable the opposition Peoples Democratic Party (PDP) encroach into APC’s South-West territory if the latter wouldn’t shrug off its complacency actually began manifesting in April 2017 after the death of Senator Isiaka Adeleke, the APC senator representing Osun West in Osun State. Attempt by the late senator’s junior brother, Ademola Adeleke, to succeed his brother in the Senate was rebuffed by the APC. 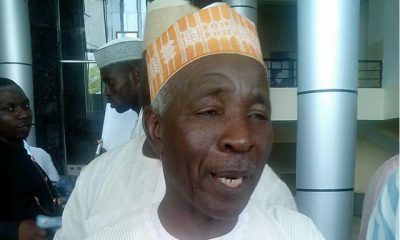 An angry Ademola moved to the PDP to contest the July 2017 by-election and easily won the ticket by 97,480 votes, defeating a former senator, Mudashiru Hussein of the APC, who had 66,116 votes. That was no surprise. The Adeleke family from the town of Ede, which occupies a large part of the Osun West senatorial district, boasted (and still boasts) extensive influence in the state. The governorship election in September 2018 would further underline the diminishing strength of the APC in Osun State. It took a re-run election and a measly advantage of 482 votes for the APC’s Gboyega Oyetola (255,505 votes) to defeat PDP’s Ademola Adeleke (255,023 votes). 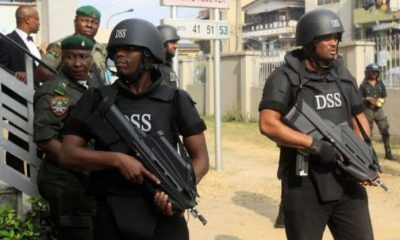 A Lagos-based civil rights activist and social affairs commentator, Raji Cardoso, was quick to point to the Osun State governorship election as the harbinger of the election direction in the South-West in 2019. “Notwithstanding the fact that the Vice President came from the region and that all the sitting governors are of the same party, the people had their independent-mindedness. This would be the second time they would be demonstrating that unequivocally in the last four months. 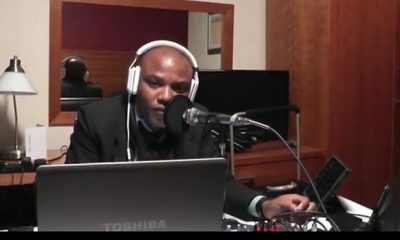 Aside from the bad blood in the ruling APC, many commentators also argued that the long-running battle between the immediate past governor, Rauf Aregbesola, and the labour unions in the state all contributed to the party’s near-loss in the September 2018 governorship and March 9, 2019 Presidential/National Assembly elections. The APC primaries to pick its candidates for the governorship, National Assembly and state Assembly in the South-West would further corrode whatever cohesion had existed in the state chapters. In Oyo State, what many people in the state regarded as the dictatorial proclivities of the governor, Abiola Ajimobi, coupled with the irreconcilable differences he had with the Minister of Communication, Bayo Shittu, on who controls the soul of the party in the state to set the stage for an easy electoral pick for PDP’s Oluwaseyi Makinde. Shittu had set his sight on succeeding Ajimobi, but the governor would not budge on his preference for a former Deputy Governor of the Central Bank of Nigeria, Bayo Adelabu, who eventually secured the party’s ticket. During the screening of the APC governorship candidates for Oyo State, Shittu was disqualified in what would appear an ignominious defeat for him in a show of superiority between rivals. The two men consequently went into the March 9 governorship election ostensibly working for the same party, but at cross-purposes. The governor had incurred the wrath of protesting students of the Ladoke Akintola University, Ogbomoso, when he showed what some analysts considered as “lack of empathy” in describing himself as the “Constituted Authority” in Oyo State, rather than address the students’ grouse about paucity of funds for the institution’s lecturers and the school. 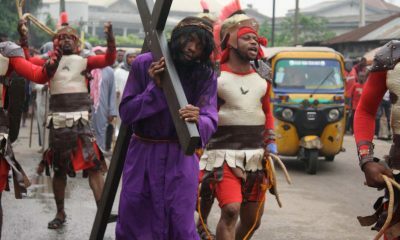 The social critic said these were reasons enough for the Oyo State populace to harden against Ajimobi. “They were necessarily not against the party. You can see that the people elected two APC senators, while Ajimobi lost his. They completed his routing from the state’s political space by ensuring that his protégé, Adelabu, lost scandalously in the gubernatorial election,” Cardoso said. In Ondo State, the intra-party crisis between forces loyal to Gov Rotimi Akeredolu and the party’s National Leader, Asiwaju Bola Ahmed Tinubu, which began in 2016 by the primary that produced Akeredolu as the APC candidate for governorship election in Ondo State, never abated. The primary produced Akeredolu against Segun Abraham, whom Asiwaju Tinubu supported. It was the rancour that the primary elicited, party insiders told Daily Trust on Sunday, that cost Chief John Oyegun his position as Chairman of the APC as the strong Tinubu camp considered him as rebellious against its interest and worked to replace him with Adam Oshiomhole. The Tinubu and Akeredolu’s camps have not been able to mend fences since then and, as in Oyo State, worked one against the other in the February 23 Presidential/National Assembly and March 9 governorship/state Assembly elections. It wasn’t a shock, therefore, that the APC won only one senatorial seat in Ondo State, through Senator Ajayi Borofice. 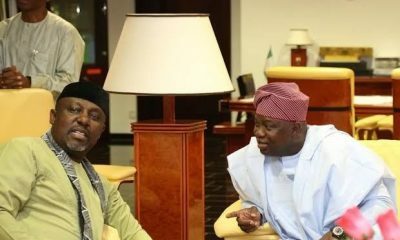 Akeredolu, like governors Ibikunle Amosun and Rochas Okorocha, his counterparts in Ogun and Imo states, respectively, was said to have supported his loyalists who left the APC to contest election on the platform of the Action Alliance (AA) after losing in the APC National Assembly primaries, while candidates loyal to Tinubu secured the APC tickets to contest. Observers said it was the divided house that resulted in the APC’s woeful outing in Ondo State. In Ekiti State, the disagreement between Gov Kayode Fayemi and his hitherto main challenger, Segun Oni, during the 2018 gubernatorial primary in the state appeared to have been better managed, such that the state was the only one in the South-West region where the APC was able to win convincingly in both the February and March 2019 elections. Ogun State is another case study of how intra-party factionalisation can lead to destructive results. Although the APC won substantially in the Presidential and National Assembly elections, it was because Gov Amosun flew his senatorial ambition on the APC wing, as he also committed himself to support President Muhammadu Buhari for reelection. It was, however, war for the APC to retain the state on the governorship. Amosun just wouldn’t take the loss of his preferred candidate, Adekunle Akinlade, in the APC primary lightly. He swore to ensure the victorious Dapo Abiodun didn’t win the governorship office for the APC and, therefore, floated and supported Akinlade as governorship candidate on the platform of the Allied Peoples Movement (APM). So it was an election rarity of a governor contesting for the Senate in one political party while massively funding and actively campaigning for the governorship candidate of another party. 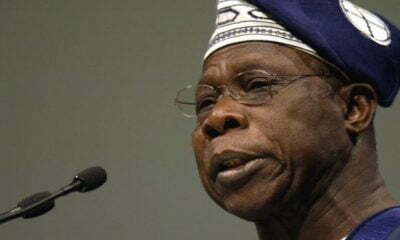 Massed against Amosun was the combination of Vice President Osinbajo, Tinubu and former Ogun State governor Chief Olusegun Osoba, who had to work off their feet campaigning to ensure victory for Abiodun. The APC did win the governorship, but only just, with Abiodun polling 241,670 votes to Akinlade’s 222,153 votes. The APC could also only win 15 of the 26 House of Assembly seats, not enough to form a clear two-third majority. The general elections in Lagos State also came with intricacies in the ruling APC. 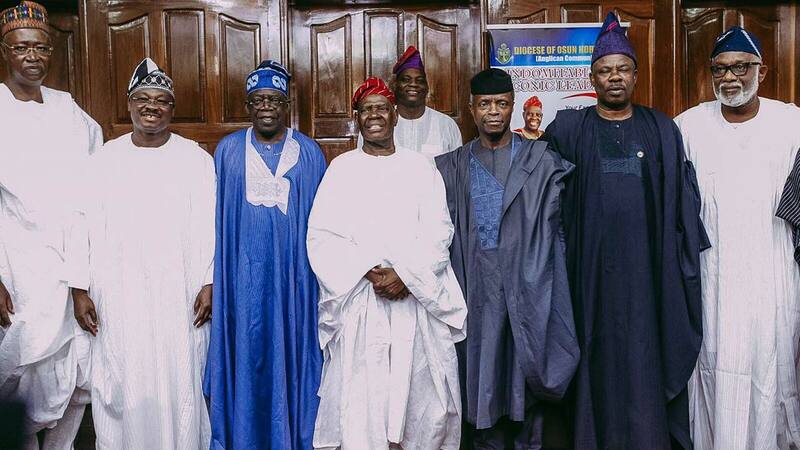 They were preceded by a threatening possibility of protest votes against the APC governorship candidate, Babatunde Sanwo-Olu, who the party leaders had picked against another term for Gov Akinwunmi Ambode, who the party leadership had jettisoned citing, among numerous sins, disrespect for them. PDP leaders were actually salivating to benefit from the rift that ensued, with expectations Ambode would dump the APC and afford the PDP and its governorship candidate, Jimi Agbaje, thousands of sympathy and loyalty votes, especially in the governorship. The APC was able to keep its house in order eventually. But what Ambode’s non-defection from the APC couldn’t achieve for the PDP, voter apathy almost did. The APC won the Presidential election with a slim margin, although it cleared the National Assembly slots. In the governorship election, Agbaje lost by a wide margin of over 500,000 votes. A number of factors have been identified as responsible for the anti-climax, top of which was the fact that the huge votes expected from the Igbo, the second largest voting bloc in the state after the Yoruba, were not delivered for Agbaje in the March 9 election. Although Igbokwe said the party was not in support of the violent attacks launched on some voters in Igbo-dominated areas of the state during and after the Presidential election, not a few analysts attributed the widespread Igbo apathy that attended the gubernatorial and state assembly elections to the attacks and threats of further attacks on Igbo communities if they dare vote any other party other than the APC. The PDP was not without its own internal problems. In Ogun State, the party organs did not support the governorship candidate, Buruji Kashamu, who challenged up to the Supreme Court the nomination of Ladi Adebutu by the party’s national leadership and eventually got a favourable judgment. The snub for Kashamu was so obvious that the party’s leaders did not bother to visit Ogun State to campaign for its candidate. And in Ekiti, the crisis of confidence between the immediate past governor, Ayodele Fayose, and the Senate Minority Leader, Senator Abiodun Olujimi polarized the party so much so that the APC took advantage of the situation to take full control of the state.